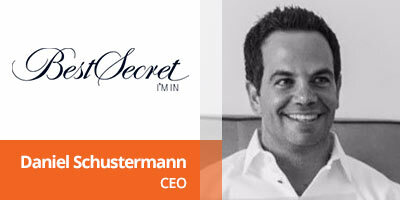 BestSecret offer exclusive insider access to the best brands at the best prices, each and every day. Unlike other members’ shopping clubs that only order items in when the flash sale expires, our products are available immediately. We have over one million items in stock from over 3,000 brands in our state-of-the-art warehouse. Our members click any product and it’s theres. How to become a member Access to BestSecret is by-invite only. To become a member, you must be referred to join by another member or come through one of our limited and exclusive partnerships. Memberships can be found in anything from your magazine subscription to your credit card benefits package. However we do limit the number of members that come through partnership channels and can close the door at our perceived capacity. OUTFITTERY makes it easier for men to shop for fashion online. Customers simply answer a few questions about their clothing style and sizes at www.outfittery.com. OUTFITTERY’s stylists then personally contact them and put together individual outfits which are conveniently shipped to their homes. The customers then keep whatever they like and send the rest back. OUTFITTERY offers this innovative service free of charge. 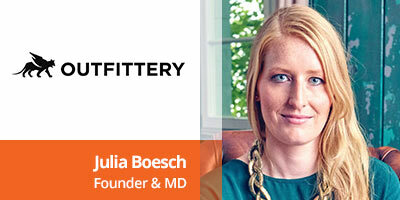 The Berlin-based company was founded in 2012 by Julia Bösch and Anna Alex and now employs 300 people. 150 stylists are solely dedicated to the fashion desires of their customers. Over 100 high-quality fashion brands are on offer. The company is currently active in Germany, Austria, Switzerland, the Netherlands, Belgium, Luxembourg, Sweden and Denmark. More than 500.000 men have used OUTFITTERY. La Mania, founded in September 2010 is currently Poland’s leading fashion label and offers a stylish minimalist European design. The hallmark of La Mania is the use of the highest quality fabrics and attention to details. La Mania carefully chooses its fabrics and manufacturers. These include highly regarded in the textile world producers such as Loro Piana or Jakob Schllaepfer. Art is an inspiration of the brand’s activity and is reflected in every single product – architectural shapes creating iconic dresses, capsule colours and classic design combined with the latest trends. The first collection was presented in a form of an art exhibition with framed pieces hanging on the walls of Zachęta Gallery or presented on mannequins imitating sculptures. 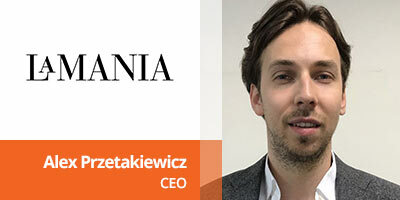 With Karl Lagerfeld as its business angel, and as his protégé, La Mania has undergone a rapid evolution becoming the market leader in Poland, winning the international market as quickly as the Polish one. Currently the brand owns 4 retails boutiques and its collections are available in Harrods International Designer Floor with its own shop-in-shop and in 25 different stockists all over the world. In February 2015, the brand was invited by the British Council and the British Fashion Council to join the International Fashion Showcase at London Fashion Week, where the brand also held a spectacular showcase of the debut collection at the Royal Academy. La Mania has quickly become one of the brightest names in international luxury fashion. Since then the brand has expanded its portfolio of products to perfumes, accessories and shoes. La Mania is preparing to launch its own La Mania home line with bed sheets, towels, china and candles with a dedicated, separate e-commerce that would cater the affordable luxury, more mass appeal product.